The American Constitution Society (ACS) and the University of Pennsylvania Law School ACS Chapter host an annual national student writing competition in honor of Constance Baker Motley’s legacy. 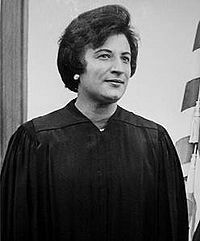 As a civil rights attorney, first woman elected President of the Borough of Manhattan, and the first African-American woman appointed to the federal bench, Motley’s life-long commitment to equality for all aligns with ACS’s mission to ensure that law is a force to improve the lives of all people. The deadline for the 2019 Constance Baker Motley National Student Writing competition is February 10, 2019. ACS welcomes all student papers furthering and promoting a progressive vision of the Constitution, law, and public policy. Entrants are encouraged to view this topic broadly, and we welcome submissions on a variety of substantive areas. Examples of possible topics include: census report, civil legal aid, civil liberties, constitutional convention, consumer rights, criminal justice, disability rights, freedom of speech, immigration, indigent defense, money in politics (including judicial elections), labor law, LGBTQ+ rights, privacy, protection of health, safety, and the environment, racial equality, religion, role of state attorneys general, second amendment and guns, separation of powers and federalism, women’s reproductive rights and reproductive freedom, voting and political process, and whistleblower protection. Click here for more information about the Richard D. Cudahy Writing Competition on Regulatory and Administrative Law. Papers are judged on the quality of their analysis and writing. The judging committee will include federal judges and leading academics. The student authors of the top three papers will receive special recognition at the ACS National Convention in the summer of 2019 and a cash prize for their work. The winner will be awarded $3,000. Each of the two runners-up will receive $1,000. The top paper would be eligible for publication in the University of Pennsylvania Journal of Constitutional Law. Please review the 2019 CBM Competition Theme & Submission Requirements before submitting your entry, which should be sent along with the 2019 CBM Submission Form. An FAQ sheet on the CBM writing competition can be found here. For past competition winners, click here.